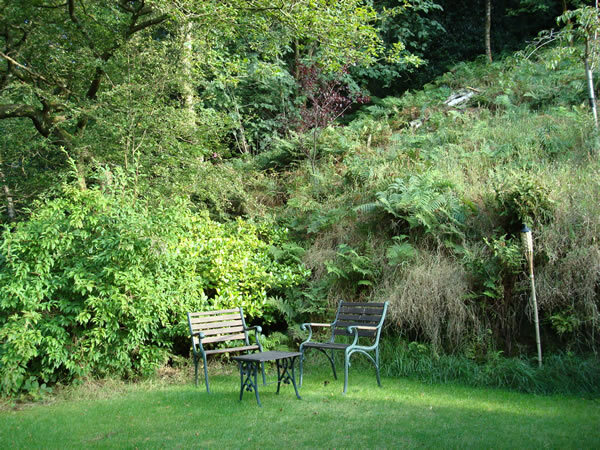 The Chalet at Cairnacre is located just outside of Hebden Bridge in Midgehole, West Yorkshire. This holiday cottage sleeps 2 and has separate bedroom, lounge/diner, kitchen and shower room with electric heating throughout. There are facilities to dry clothing and walking boots. The storm porch provides space for bikes, outdoor gear and boots. The lounge/diner has a TV, and comfortable seating with garden views. Books, tourist information, maps, and videos are available. The bedroom has twin divan beds or one super king-size bed. In the garden there is a lawn and patio with seating area, bordering woodland. Hebden Bridge was described as one of the quirkiest towns in the world, and the town with the most independent shops on the High Street! It is a popular walking and cycling area, with National Trust woodland nearby. The town has theatre, cinema, jazz and arts festival; park, canal, Alternative Technology Centre; shops selling antiques, books, for charity, china, craft, jewellery, and shoes. There are food shops and delicatessens, cafes, pubs, and restaurants catering for most tastes. The Pennine Way and Calderdale Way are within 2 miles and Haworth and Bronte country within 8 miles. Tourist Information is found at Hebden Bridge, Todmorden and Halifax.